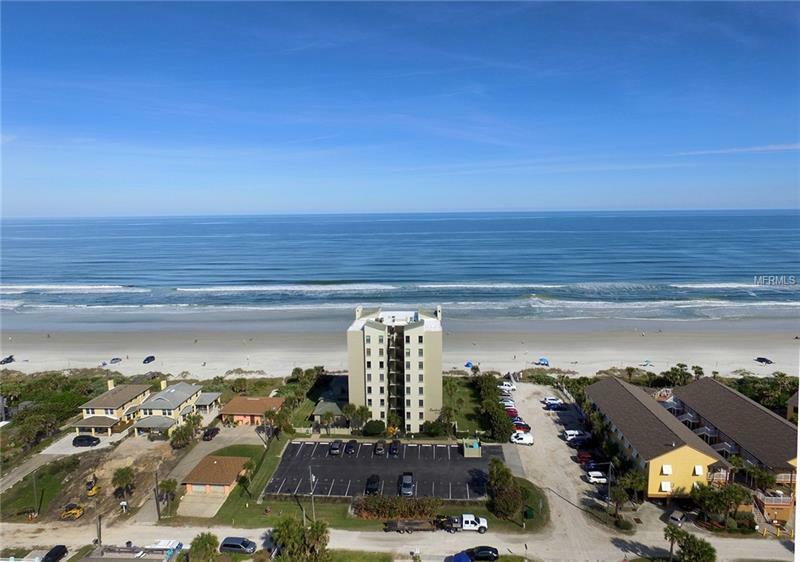 DIRECT OCEANFRONT and amazing 5th floor unobstructed views up and down the beach! You need to see it for yourself. Seafire is a rarely available low density condo directly on the beach with stunning panoramic views and lots of privacy. From sunrise to sunset you can get lost gazing out at the world. This spacious 2-bedroom, 2-bathroom condo is in move-in condition with tile throughout, full-size in-unit washer and dryer, motorized hurricane shutters and a great floor plan. With only 16-total units, Seafire feels more like a home than a condo. The L-shaped balcony is large enough for an outside dining table and can provide shade from the late morning heat while taking advantage of cool ocean breezes. The kitchen has plenty of storage with a pantry and features a breakfast bar looking out at the dining and living rooms both featuring plenty of ambient light from the beach and ocean. There is plenty of storage space to stow beach gear. Master bedroom is large with an extra dressing area and great sunset views to the west. Guest bedroom has a magnificent view up the beach toward the inlet. Large community pool features an expansive patio with grilling stations, cabana hut and bathroom. Seafire is pet friendly. Take advantage of this great value.